Most every restaurant has one, and even though they store a restaurant’s most precious commodity, unfortunately most take them for granted. Selecting walk-in refrigeration should be developed as part of a restaurant kitchen design to ensure they installed to meet the needs of the operator. Sure, you can purchase a prefabricated unit and perhaps save a couple of percentage points on the cost, but more often than not, those pre-fab units never function as efficiently as one that is manufacturer to order, based on the restaurant consultant’s walk-in refrigeration guidelines. Many walk-in refrigeration manufacturers offer prefabricated units for two reasons. First, to provide the customer a “quick ship” option, and second, it allows the manufacturer to pre-fabricate a certain amount of inventory to keep their costs down based on volume purchasing and fabrication methods. The reality of these units however is that most are not designed for an efficient use of square footage. If you have generated your business plan as we have recommended in several past posts, you know that you need to maximize the revenue generating capability every square foot of your operation. 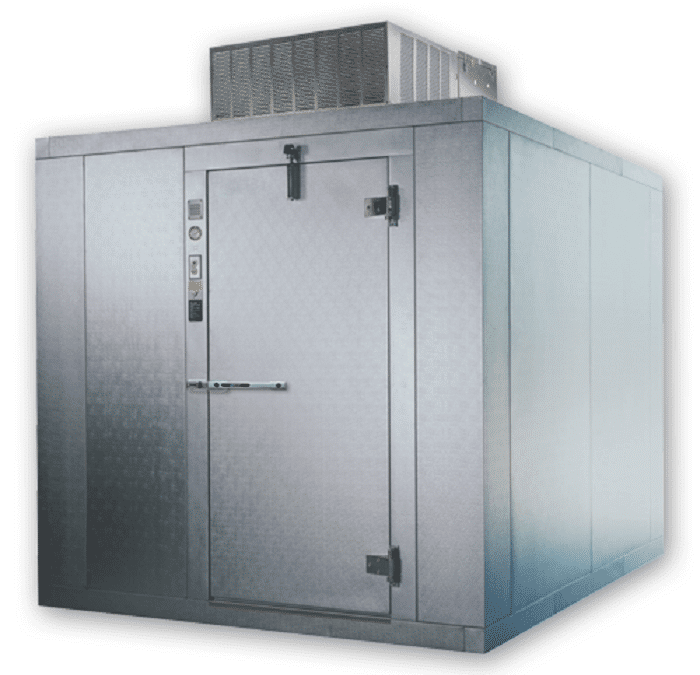 Let’s take a look at your standard 10’ x 10’ walk-in refrigeration unit. Most walls on walk-in refrigeration units are 4” thick. Allow for 2” of airflow clearance on the interior of the walls and now your walls are theoretically 6” thick. 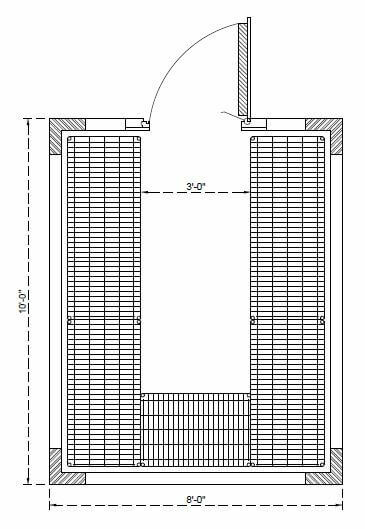 Shelving units only come in certain sizes so let’s use a 24” deep shelving unit since that is the largest available, laid out around the interior perimeter. One you add all the shelving units in, you are left with a 5’ wide area of essentially dead space in the center of the walk-in. This is space that isn’t being used for storage, but you are paying money to refrigerate it! Now, let’s have that same manufacturer make the unit 8” wide instead of 10’. 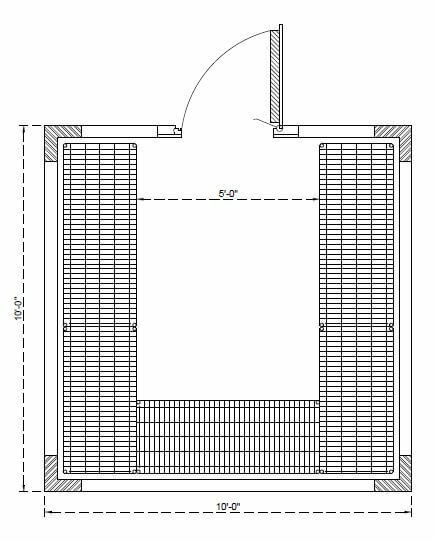 We will add the same 24” deep shelving throughout the interior perimeter of the box, again, leaving 2” of airflow clearance around them. This leave us with a dead space area of only 3’, the required amount of space to leave in any work space for employees to maneuver. In this format, you the walk-in refrigeration unit is only cooling the minimal space necessary, saving you on the cost of the size of the compressor, evaporator, the box itself as well as ongoing utility expenses to run it. The other aspect to keep in mind is that not everyone has exactly an 8’x10’ space for a walk-in refrigeration unit so the moral of the story here is… As you develop your commercial kitchen design, create the design for your walk-in at the same time based on available space and the size of shelving to be utilized. If you were to say to me, I only need 18” deep shelves, then the box should be custom fabricated at 7’ wide so you don’t cool any dead space than necessary. You may pay a couple extra dollars to get the box custom sized to your needs, but looking at the big picture, you will save money in the long run since you are using all of your square footage to its maximum usable capacity. And in the end, that is one of the key factors to turning a profit in the restaurant industry.